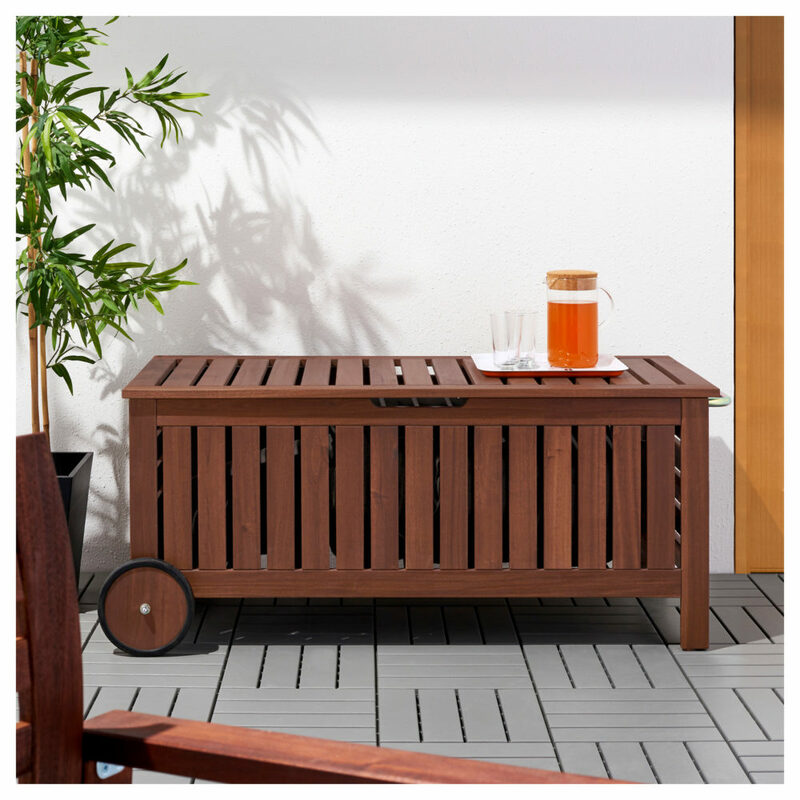 Whether you have a large backyard, a courtyard or small balcony, we have the tips to bring style and function to your outdoor area. Enjoy one of life’s simple pleasures and make the most of outdoor living this summer with these ideas! When designing any space, they always say ‘form follows function’, which essentially means it’s important to get the intended function of the space working before getting caught up in the minutiae details. 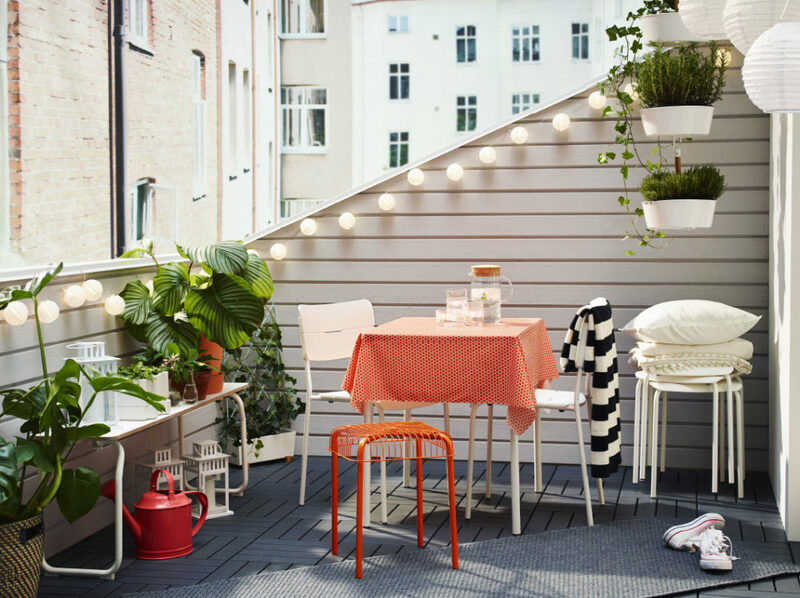 If you’d like to use your space to dine outside, a table and chairs is a must. You can find tables that sit 2, 4, 6 right up to 12 people, and extendable tables such as ÄPPLARÖ from IKEA are a great idea if you’re short on space but love to entertain larger groups. On the other hand, if relaxing is the name of the game, perhaps a more informal seating arrangement is the way to go? There’s a move towards creating outdoor living rooms and you can achieve this with lounging furniture, like the KLÖVEN or the newly launched MASTHOLMEN rattan range. Multifunctional furniture, such a bench seat that can also double as a storage unit or even as a coffee table (like the the IKEA ÄPPLARÖ), is a clever choice – particularly if space or budget is limited. Another functional consideration of your outdoor space (then we’ll get onto the fun stuff, promise!) is shade cover. In Australia, it’s simply not possible to use or enjoy an outdoor area unless it’s undercover or you use a shade, such as a gazebo or umbrella. 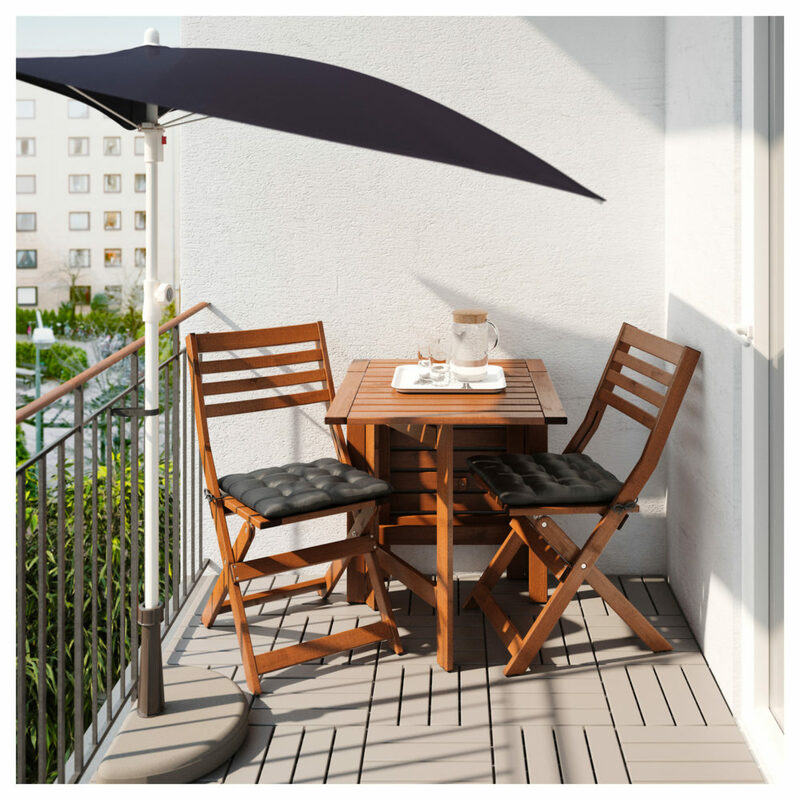 If you live in an apartment and have a balcony that is undercover but is still exposed to direct sun, a simple addition like the compact FLISÖ umbrella may be the solution you’ve been looking for. It can be placed flat against a wall or attached to a balcony rail to offer much needed shade. Remember, the best way to extend the life of your umbrella is by cleaning it regularly, protecting it with a cover whenever not in use and storing it in a cool, dry place indoors when the warmer seasons are over. If you have a larger area to work with, a stylish gazebo like the KARLSÖ can bring those holiday vibes to your own backyard while also blocking out 98% of ultraviolet radiation. Of course no outdoor space is complete without a big dose of greenery! When it comes to selecting plants for your outdoor space, start by doing a little research. Will they be in direct sunlight or mostly in shade, and what’s the climate in your city? Also consider the style you want to create – Monstera plants are an ideal choice for botanical vibes whereas cacti in a mix of vessels play to the eclectic style. Pinterest is a fab source of plant inspiration and a great starting point for your research. If you have a black thumb or simply don’t have the time to keep real plants alive, there is a great range of faux plants now available. From larger trees to smaller succulents in pots, you’ll be able to find artificial plants that create the same visual impact as the real thing. 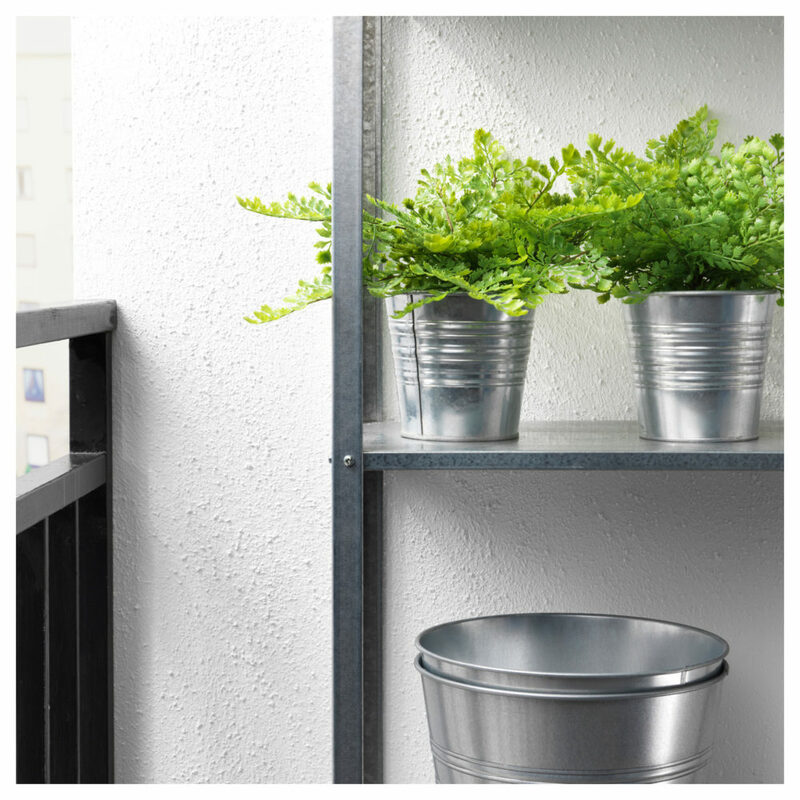 IKEA has a huge range of artificial plants that you can find here. We absolutely love adding lighting to outdoor spaces – it creates ambience and ensures that you can use the space after dark too. 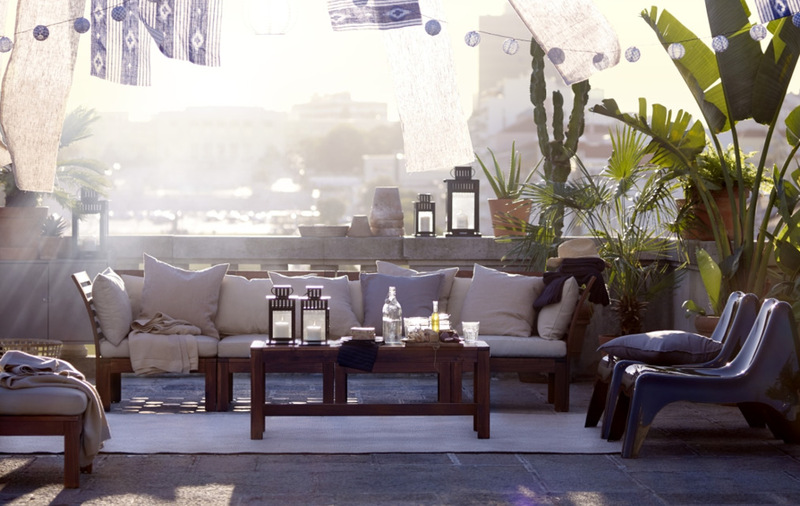 Light up your nights with fairy lights, lanterns or lamps to create a magical space. Solar-powered lights can light up pathways to make navigating your outdoor space easier without the need to run cables to a power source and are better for the environment too. 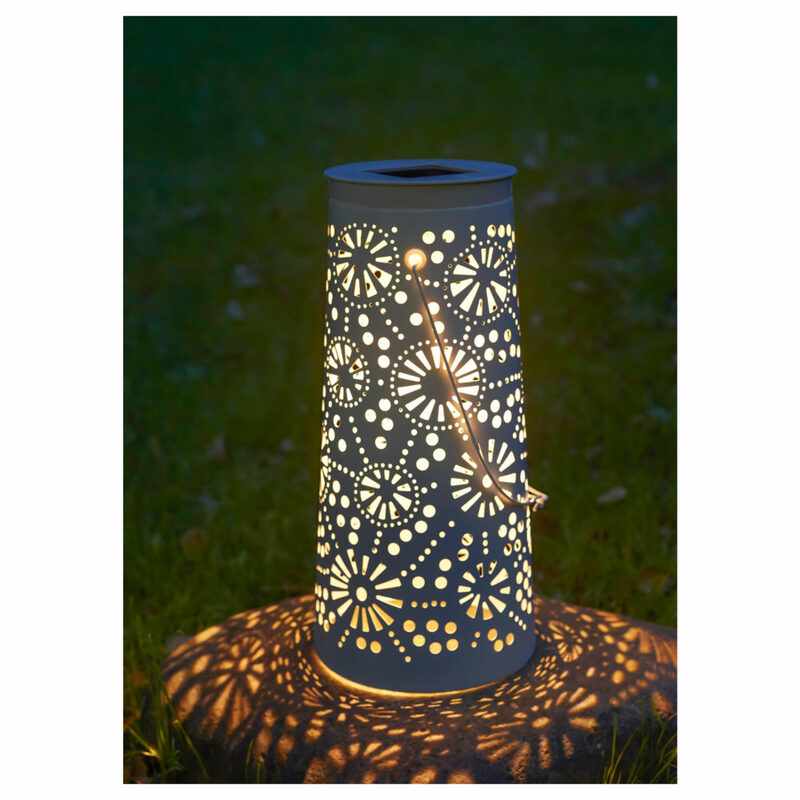 We love the new SOLVINDEN floor lamps with their lace cut details that provide beautiful lighting to decks and garden beds. Choose a light with a soft, warm glow or something with more of a twinkly shine — either way, decorative lighting can help make your outdoor space warm and inviting. The final (and most fun) step to creating an outdoor space is styling! There are so many ways to bring your style to your outdoor space – from colourful pots to bright cushions, tabletop décor or even artwork. We love how outdoor cushions add comfort and soften your outdoor space. A tip is to find outdoor textiles that reference your interior styling (looking for similar colours or prints) to create a greater indoor-outdoor connection. Adding an outdoor rug also adds softness while anchoring the furniture and creating the sense of an outdoor room. Do you have more tips you could share on how to create a stylish and functional outdoor space? We’d love you to share your ideas in the comments below! You can also check out the IKEA People & Planet Positive Report 2018 for better living ideas for the outdoors and across the home. Previous articleDesigning the ultimate laundry, all the tips and tricks you need!